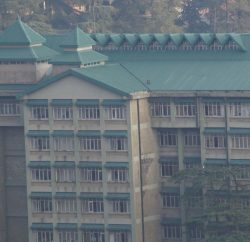 The Himachal Pradesh High Court directed the state government to file a reply on ensuring implementation of the Cigarettes and Other Tobacco Products Act at public places in the state. 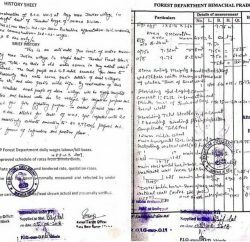 The court asked the state to file the reply within two months. 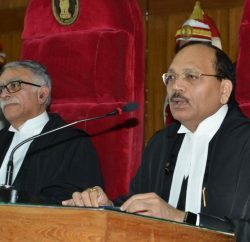 A division bench of Chief Justice Kurian Joseph and Justice D.C. Chaudhary took cognizance of a letter written to the chief justice by the president of Himachal Pradesh Voluntary Health Association, an NGO working to make the state tobacco-free, alleging violations of provisions under COTPA in the state. The petitioner sought the court`s directions to the state authorities asking them to take steps to ensure that no tobacco products are sold within 100 yards of educational institutions and no advertisements promoting tobacco products are on display in such areas. The NGO also requested the court to ban `gutka` in the state on the pattern of Madhya Pradesh, Kerala and Bihar. Smoking in public places has already been banned since Oct 2008, but smokers flay the rules and regulation. Though police are imposing fines on them, but still many are violating law and can be seen on bus stands and other public places.